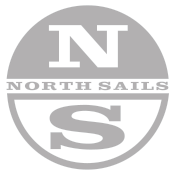 In addition to our fast Bullseye racing sails, we are now offering daysailing sails for the Bullseye class. High quality softer cloth means more fun! Manufactured in Fibercon, a soft cloth, perfect for day sailing. This is our standard racing mainsail design. This is our standard racing jib. This sail is manufactured in Fibercon, a soft cloth, perfect for day sailing. This is our standard racing genoa. This spinnaker is manufactured in Norlon.